"This is one journey that will enrich you each time you step inside"
for you, your loved ones, and clients. This audio is created to help you relax and heal at the deepest levels. Over 75 minutes of playing time with 5 tracks. 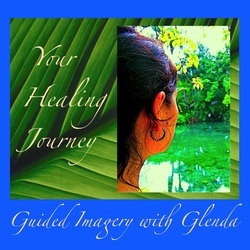 Click here to order "Your Healing Journey"
Guided Imagery is a nuanced experience. As in a tapestry it is the richness of the experience. found in Glenda Cedarleaf's "Your Healing Journey". skillfully keeps the listener attuned. The music's ambient subtlety emotes an almost cellular serenity. each time you step inside. "Glenda’s quality of presence in the CD feels pure and authentic. for proper breathing to benefit health and wellness. and meditation as well as to newcomers. not impose itself in any way. The music is offered by the composers Matti Paalanen and Christopher Lloyd Clark. In addition to how powerfully her work stands on it's own, all of these extra pieces add to the desirability of presenting her CD's as gifts to loved ones." 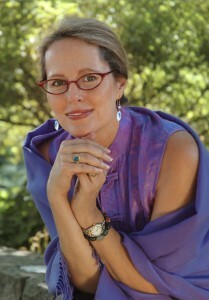 "My patients call to rave about the influence Glenda Cedarleaf's CDs have on them. Then the true healing begins." "Imagine comparing the art of guided imagery to the art of storytelling. Children always love a good bedtime story. Glenda’s CDs invite us to actively participant in our own healing process. The child loves to fall asleep being read a bedtime story…"
Discounts available for bulk purchases for hospitals, spas, retreat centers, and other healing centers.